A few years ago I joined a church in Yarm, after hearing about some of the people that went there and what was happening. I went for a sunday morning, not letting anyone know I was heading there, and what I found was a suprise. A lot of old friends that I’d lost contact with through the churches I’d been involved with in the past. I’d got on with one or two people while searching for a home church and went to many different churches. So many of them have ended up here, in one place at a vineyard based church named Yarm Vineyard Church and has since been renamed “The Vine – The Vineyard Church on Teesside” and this is now my home church when I go and now based at Stockton Riverside College. It seems to be a church in more of a sense of getting people involved and in a community of sorts rather than a place that you should always be going too. There is no feeling of guilt if you don’t go and you can always catch up online if you want too as they put their services online as podcasts. Its usually a short service of about 60 to 90 minutes, with a mixture of worship, chat, and sermon that doesn’t tend to last longer than 20 minutes with some sort of donuts or cake with drinks afterwards. If you want to be involved with things, you are encouraged too but if you say “not interested” – you do not get badgered into it as I’ve seen in a lot of places. I like it. I have always been involved with harvest since about 1994, first as an attende and then as a steward as I got older, and then onto the ministry team and now in the background. 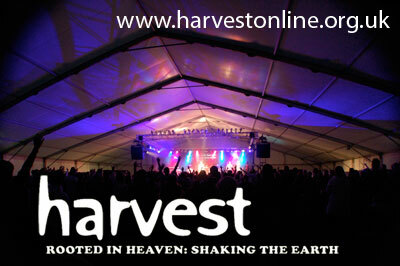 Harvest is a five day Christian festival held in the North East of England, that exists to help young people engage with God, each other and to go home better equipped to live out their faith. I have wanted to help with the continuation of the event for a long time and in 2011, I’ve got my chance and now see that there is a lot happening in the background to organise and run the event. In 2009, I started stewarding at spring harvest. It was very different to the stewarding at harvest – there was a lot more work, and much longer hours. A typical day started around 7am and finished around midnight and involved a lot of moving chairs, health and safety, and looking out for people and hazards. When I attended spring harvest, I did not know anyone beforehand and that was a scary idea – to go somewhere in the country I didn’t know to work with no-one that I had worked with before. I had been to spring harvest once with the Christian Union and not really enjoyed it, I kept wanting to know what was happening in the background and couldn’t be involved – this was my chance and I went for it. I’ve now stewarded for about 4 years (2009 to 2012). For the first two years I had no preference of where to go, but really enjoyed the venue for my second year and have helped run that venue since. It is the 11 to 14’s venue. There is a lot of sillyness that happens and is loud and fun. I think I like this venue as I was around their age when I first started to understand what being a Christian meant, and in myself believe that they too can comprehend what they are taking on. I work with a group that often come from the Youth for Christ North East Team so I know them quite well and have worked with them on events such as Harvest, IXth Hour and a few other things over time. Spring Harvest stewarding is not an easy job, but it is not really a hard job either. It involves taking time out for others, and caring as well as a close eye on safety hazards. When doing a 11 to 14’s event – there are always lots of hazards such as water/sticky messy games, mixed with electrics (never a good combo), racing games with hundreds of people around, general cables everywhere (for the great visual/sound effects). Its a lot of fun though, even with the cleanup afterwards and masses of chair movements. I’ve made some awesome friends there, and keep in touch with many still. We all come from around the country, and it doesn’t matter where we came from in life, or what church we came from or no church but that we all came to serve and help. For that one week, normal life is on standstill, there is no judgement of what you do in life just a positive attitude to help and be a part of the effective team is really wanted. If you are down, people are there to talk. Its a mini community for a week – we meet up as a whole team at least once a day and usually meet during the days too. I really enjoy the weeks and get the chance to listen to what is said and meet with God at the same time. I find it amazing and encourage others to get involved. I’m not sure what the next chapter of this journey will be but I look forward to finding out.